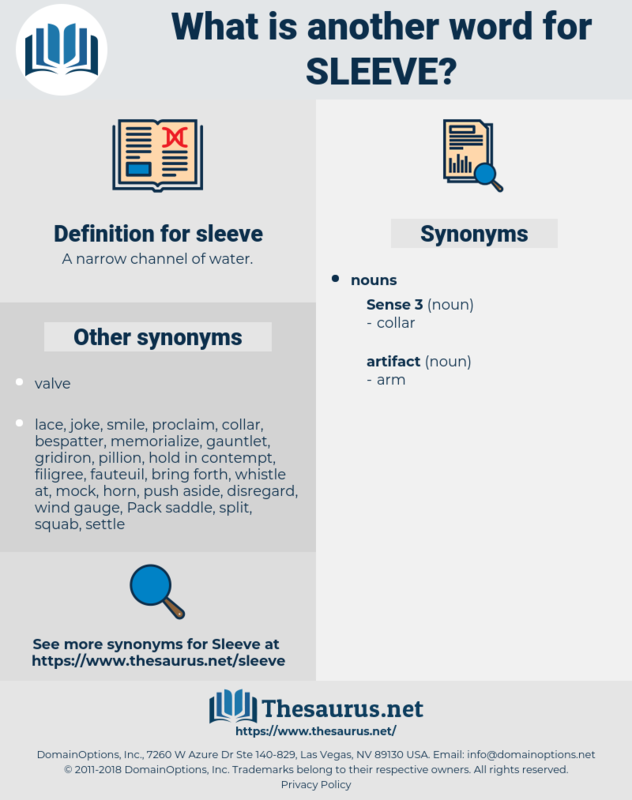 What is another word for sleeve? bushing, jacket, mantle, handles, bag, ferrule, purse, joystick, coupling, covers. Had the matters at stake not been so grave, had she been more certain of the issue, she might have put her own sleeve to a similar purpose. But Frisky had a trick up his sleeve. 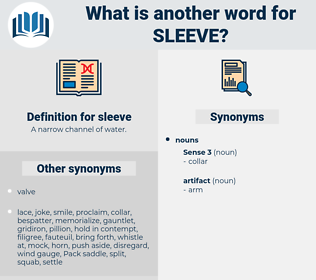 sell up, sulpha, slavey, silvia, solve, slip up, social phobia, slap-up, skylab, soil pipe, slope, slub, sick leave, syllabub, slip off, sleep, sloop, shelf, sylva, sclaff, scale leaf, sea scallop, slip away, solvay, saliva, syllabify, silva, ski slope, slaphappy, slipway, slob, salpa, scollop, slav, scallop, sleepy, scale up, swell up, selva, slip, slip by, swallow up, self, sylph, slab, salp, salve, schoolboy, seal off, slop, sloppy, solfa, school phobia, shelfy, salvo, slip-up, slippy, schlep, salvia, sleep off, shelve, slow up, shlep, slap, sillabub, sea wolf, scalp, sexual love, sulfa, sell off, selloff, shelvy, slave. raglan sleeve, record cover, long sleeve, record sleeve, shirtsleeve, short sleeve, dolman sleeve.